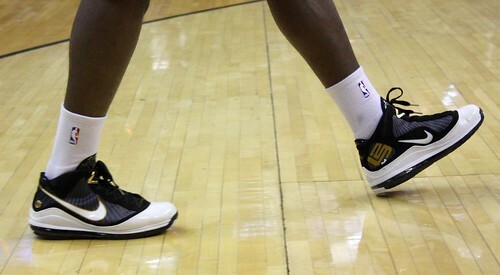 LeBron James likes wearing his own name-bearing shoes that fuel his ego. He wears MVP shoes. He wears New York Yankees shoes. 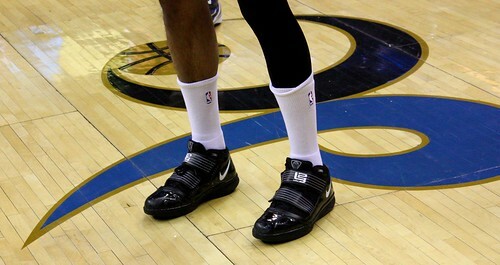 One upon a time Mike Miller wore LeBron James shoes to practice. This created a minor hubbub in Wizards Nation. In hindsight, the blog-worthy occurrence was probably a distraction. Not a distraction that amounted to much, but when added to everything else … exactly. Sure, team captains Antawn Jamison and Caron Butler chimed in about not liking it. 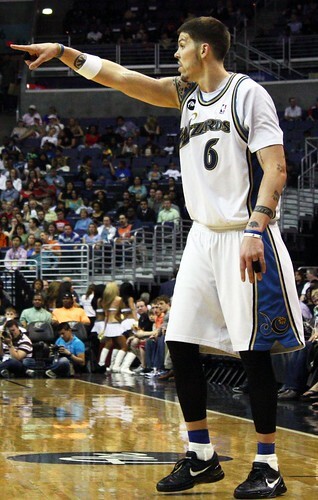 But DeShawn Stevenson … Mister 50/50, I Can’t Feel My Face … the Wizards’ protagonist in their rivalry with the Cavaliers (or antagonist depending on what side you’re on) … was the most vocal about Miller’s shoe selection, drawing scorn for his antics. Of course, those were the days when the rivalry still had very faint signs of life. It’s over now. DeShawn Stevenson said so. Well, DeShawn in the past talking about a once unimaginable future. But appearances, or at least the hype, can be deceptive. Stevenson once told me that as long as “someone” on the Wizards was wearing LeBron James shoes, he wasn’t going to talk to “him.” Foolish? Unnecessary? Posturing the rivalry for the media? While DeShawn’s beef with LeBron was personal and catty, and fueled by Drew Gooden, there was never any real beef between him and Miller. Before the first home game without Gilbert Arenas in early February, DeShawn was joking in the locker room about Miller’s new short haircut and how they go back to their teenage days. DeShawn relished in hyping up the rivalry. Somewhat fun when the Wizards were winning and he was hitting threes. Not so fun when his play was poor and the team was spinning out of control. But that’s life kid. A final hindsight is … who cares? People certainly didn’t care as the Wizards’ season wore down to a nub. Miller’s LeBrons, combined with Stevenson’s departure, beget Shaun Livingston’s ability to wear LeBrons, which finally beget Cedric Jackson’s appearance in LeBrons. And now Antawn Jamison is playing for Cleveland. Ironically toward the end of the year, Miller stopped wearing LeBrons in favor of just some plain ol’ black Nike Hyperdunk Lows. Also worth noting that Miller switched to Nike shoes before the ’09-10 season after wearing adidas since his sophomore year in high school. 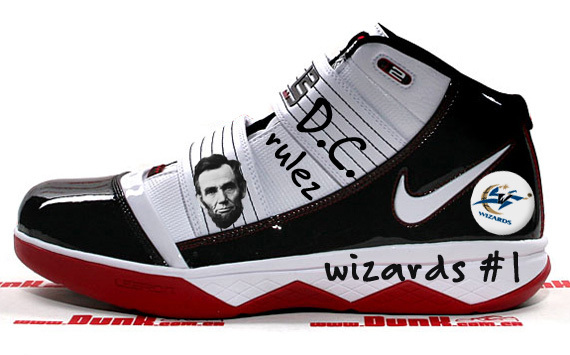 And that’s a brief history of Washington Wizards wearing LeBron’s shoe.